Being in a rural location, Watton-at-Stone is fortunate to be surrounded by a large amount of open space such as fields and woodlands. As you would expect, much of this type of open space is private farmland, etc, but there are still great opportunities for the public to enjoy the local countryside. In addition to walking or cycling around the lanes, there is easy access to a varied network of public footpaths and 2 areas of Common Land, namely Watton Green and The Lammas. Historical evidence suggests that village greens and commons (such as Watton Green) may once have been used for carnivals and fairs, not to mention the odd bit of archery practice, jousting and maypole dancing. Watton Green sits on the edge of the village and can be reached via Perrywood Lane. It is a very peaceful area and is well worth a visit at any time of the year. Watton Green is an ancient unenclosed ‘common’. Within the medieval agricultural system, these were owned by the Manorial Lord and considered as ‘waste lands’ because they were not suitable for growing crops. Villagers had ‘rights’ to use this land for grazing livestock, collecting firewood (firebote) or tethering pigs. Interestingly, the site and adjacent earthworks of moated houses suggest that early village-settlement may have centred on Watton Green. 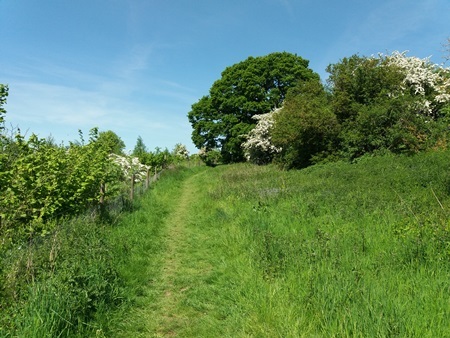 Today, Watton Green is a registered County Wildlife Site and is a mosaic of ecological important habitats that is rich in wildflowers and provides a breeding/feeding ground for many species of birds, small mammals and invertebrates. The grassland is particularly valuable because such habitats are becoming increasingly rare in Hertfordshire due to modern agricultural practices and arable cropping. The Parish Council, together with the Countryside Management Service and volunteers, undertook extensive groundwork to reclaim land lost to continuous scrub-encroachment, and made other improvements (including the addition of a circular bench) to ensure that the public could continue to enjoy Watton Green. A management plan is now in place to ensure that the quality of the grassland is maintained and further encroachment is kept under control. The Lammas is at the northern-end of the village lying alongside the River Beane between Mill Lane and Walkern Road. It covers a range of habitats including a traditional hay meadow, wooded bank and blackthorn thickets. The area was an important site for the commoners of the village because they would have grazed their animals there and been allowed to take a hay crop at certain times of the year. Also, the wooded bank may have been a source of timber and fuel, and from where berries could be collected. As with Watton Green, the Parish Council, together with the Countryside Management Service and volunteers, undertook extensive groundwork, tree planting and other tasks (including the addition of benches) to improve the overall condition of the Lammas. Again, a management plan is in place to ensure that the quality of the Lammas is maintained and can be enjoyed by future generations. 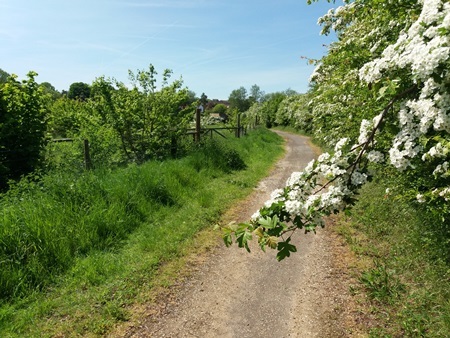 Walks – There is a section on the Hertfordshire County Council website that provides a bird’s-eye view of the entire rights of way network within our county. Anyone using the link below can click on any part of a complete map of the county and zoom in and out to look at specific towns, villages, roads and individual paths that they are interested in.